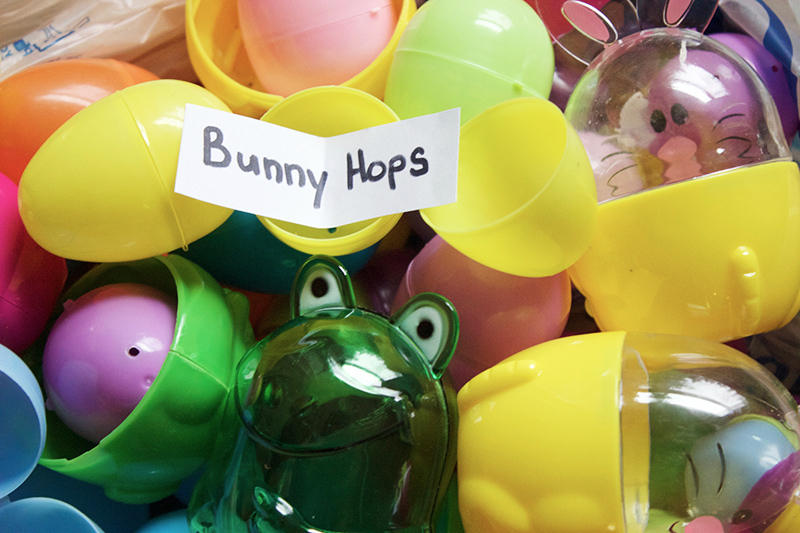 It's almost time to hide those candy-stuffed plastic eggs and let the chaos ensue. As our little chicks get older, however, many parents long for a fresh take on the Easter tradition. 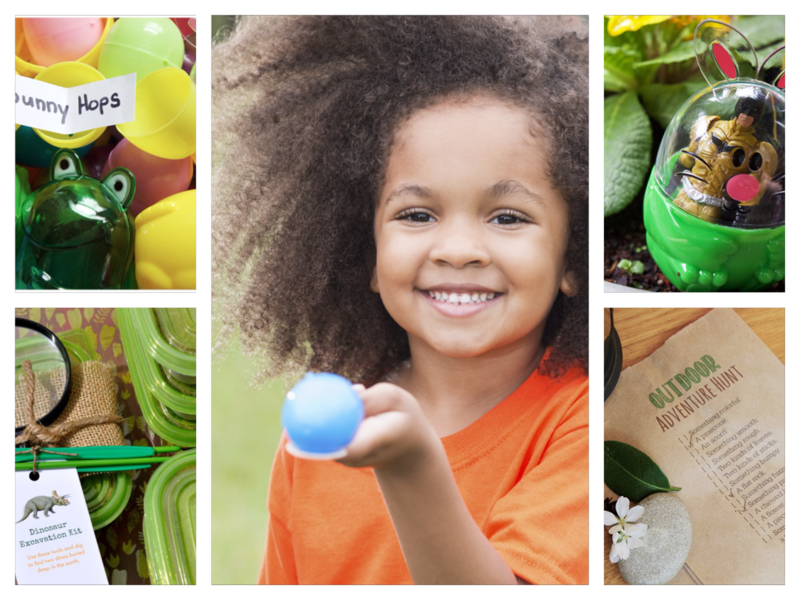 These six creative egg-hunt alternatives will engage kids and liven up any humdrum Easter routine. From letting kids unearth pirate treasure to egging them on to solve a top-secret mission, each hunt introduces an exciting new twist that may speak to your child’s specific interests. Arrr! 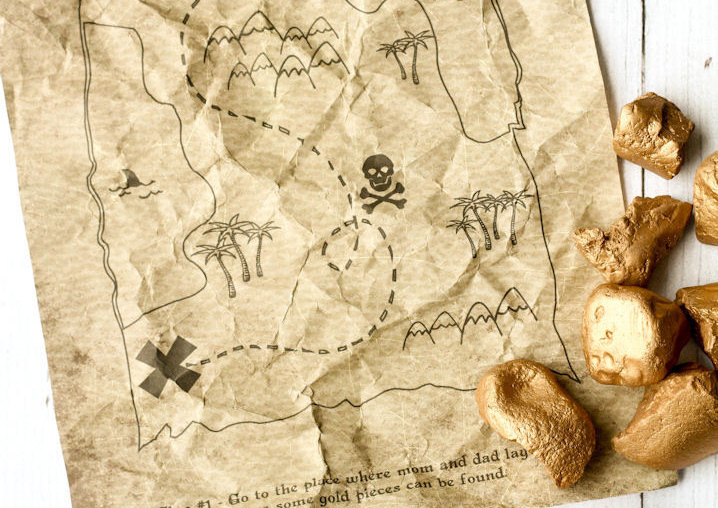 If you have a child who dreams of finding buried treasure, a pirate-themed scavenger hunt is a slam dunk and surprisingly easy to organize. Begin by creating a series of clues that kick off the treasure hunt. The clues can be personalized to familiar things in your child’s life, like, “Ahoy matey, go to the place where we keep your toothbrush.” If you prefer to follow in another captain’s footsteps, the Lil’ Luna blog has excellent ideas for clue-creating and shares a free printable treasure map. She even suggests hiding golden nuggets (spray-painted rocks) around the house that can lead to Easter baskets. For the budding naturalist in your home, this is a great way to connect your kids to the outdoors as well as teach them about identifying Northwest plants. 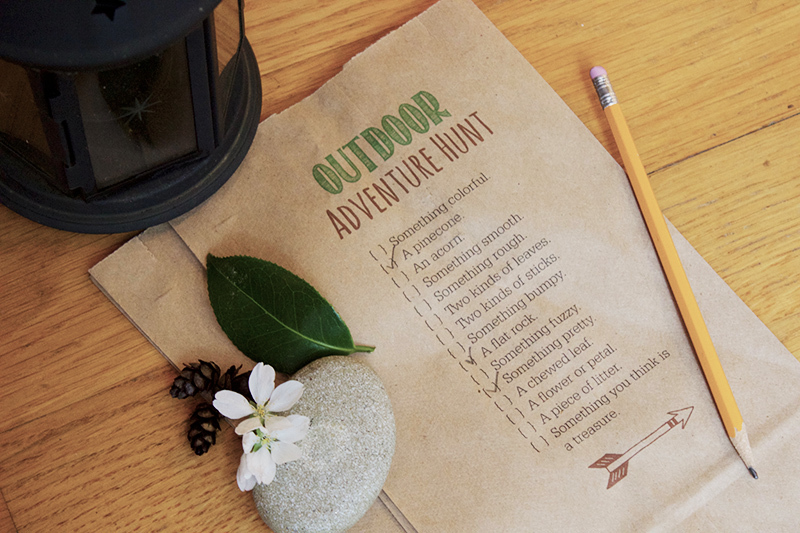 Create your own list with things that are already in your yard or use this free printable from Clean and Scentsible for a general scavenger hunt. Her blog includes specific items such as pine cones and rough leaves to teach texture as well as a piece of litter to encourage conservationism. Another practical idea is to print the checklist on a paper bag instead of using an Easter basket. Once the items have been found, reward them with Easter treats. Parents of dinosaur enthusiasts can use a sandbox or a bag of sand and a plastic pool to create an excavation site. Pick up a few packets of plastic dinosaurs and write a list that outlines the different types they'll need to dig up. Tuck that list into an Easter basket filled with shovels, paintbrushes and a small magnifying glass. 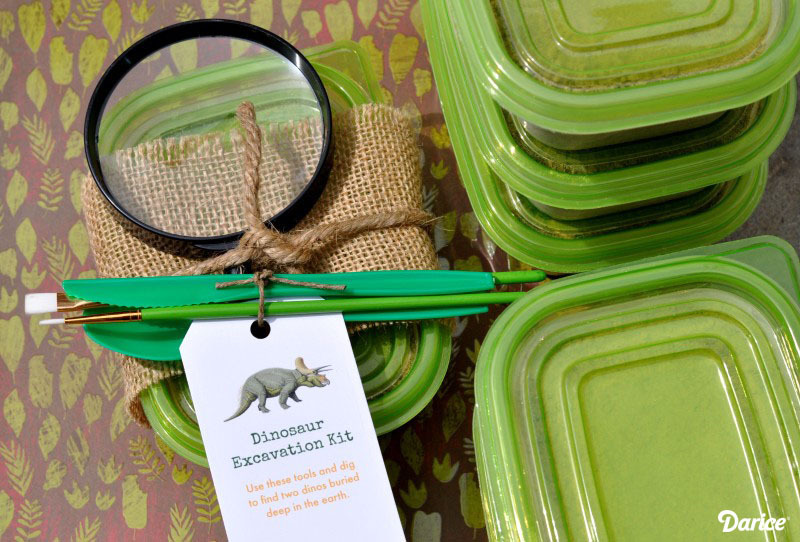 If you don’t have a sandbox or any sand on hand, the Make Life Lovely blog has an incredible guide to creating your own mini-sandbox using disposable containers and includes details on creating miniature dino-dig craft kits. Here's an idea that can be tailored for both older and younger kids. 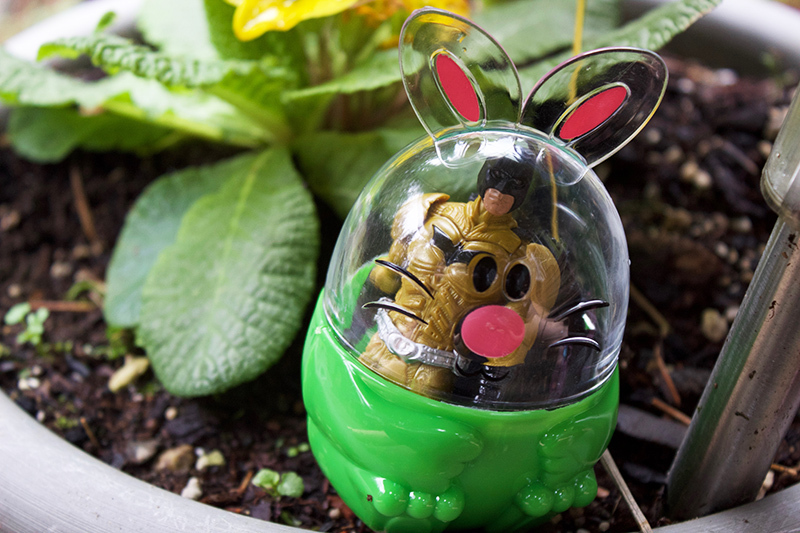 For the smaller superheroes, hide figurines inside Easter eggs and turn them loose. Once they discover what’s inside the eggs, they will have a new collection of toys to play with. For kids who are a little older, use the free superhero bingo printable from the Big D and Me blog and print off the superhero call cards and tuck them into the eggs. Whoever gets a superhero bingo first wins! If we get a rainy Easter Sunday this year, here's a fun indoor option. 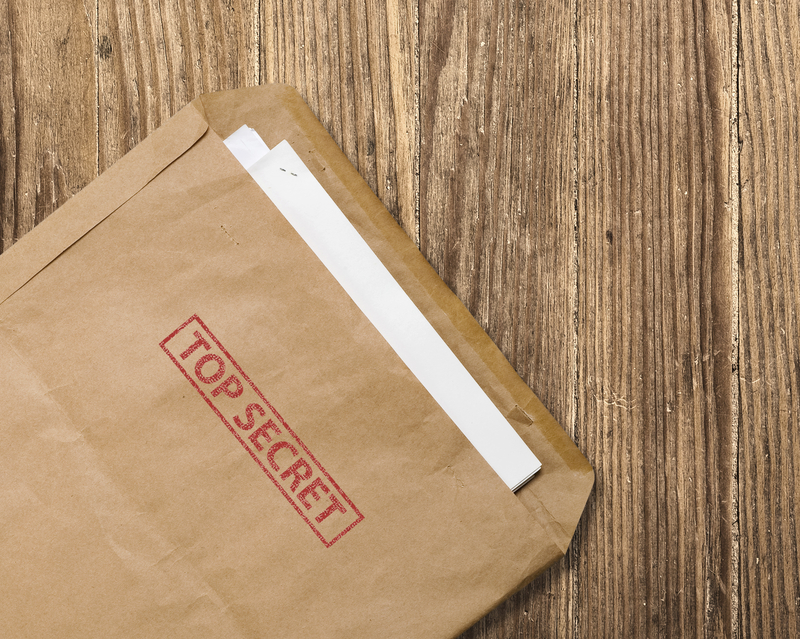 Fill an Easter basket with secret agent props like those found on the Shim & Sons blog and include a manila envelope labeled “top secret.” Inside the envelope is a list of evidence to find. Hide items like a water gun, stolen loot (pennies), precious stones (plastic beads) and a magnifying glass around the house and let the hunt begin. For added fun, set a timer and see who can find the most items the quickest. Sugar and children can often lead to a hairy holiday, so why not tackle get them moving while they find the treats? In each egg, include a physical activity to be completed. Ideas like “bunny hops” and “pencil rolls” come from The Seasoned Mom blog, but feel free to add in Easter-centric ideas like “carrot kicks” or “crack the egg” rolls. Once the children complete every activity you’ve hidden in the eggs, you’ll have tired-out kids who’ve earned every bit of that Easter candy.